One of the things the Infinity rules got correct IMO, was the proliferation of drones and remote-controlled units down on the tactical/skirmish level. 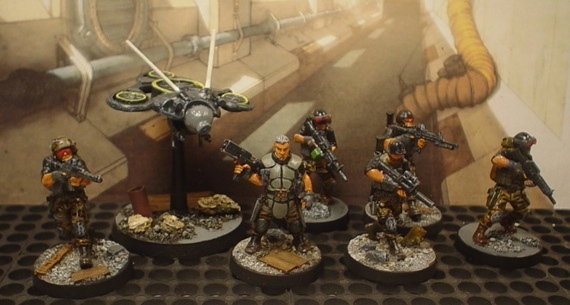 I look for some form of drone support for all my 28mm sci fi skirmish teams now. I think the aesthetic worked for the jungle ninjas of Kem Var here. Might have to battle-test this TOE on Tues eve. MERCS have released 7th members for their various factions. Picked up the KW assassin off eBay the other week. New MERC Keizai Waza fig front row, far right. Cause nuthing sez ‘assassin’ like a chick with a katana. Black Friar Security with lightly armed recon drone. Note to self: add decal on shoulder/knee pads. Made an Eshu International skirmish crew using USCR MERCS figs for the Triplets, various Infinity figs for Poet9, Jace and Tam, and added in a DP9 drone for Poet9. 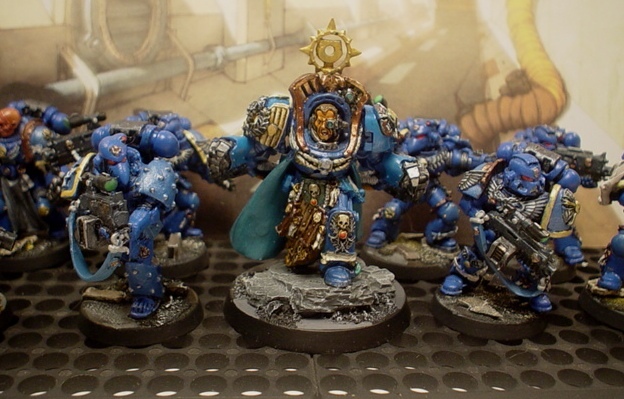 Not a GW fan but nostalgia demands a set of METAL Space Marines. 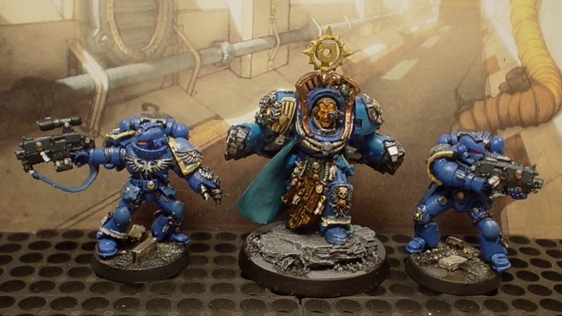 Here they are in all their power-armor, purity seal, skull-laden glory. I’m stalking eBay for a few more to round out the collection.